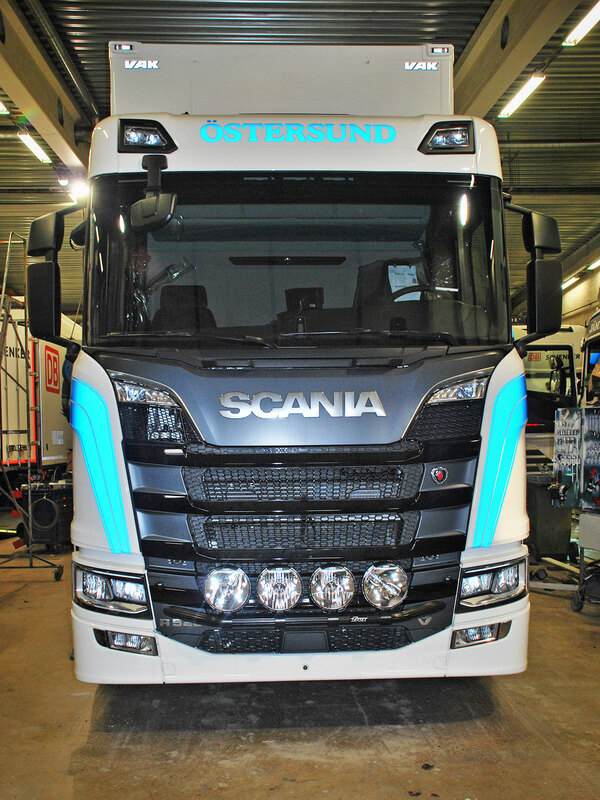 We are expanding our product line to the new Nextgen Scania with a X-Bar. 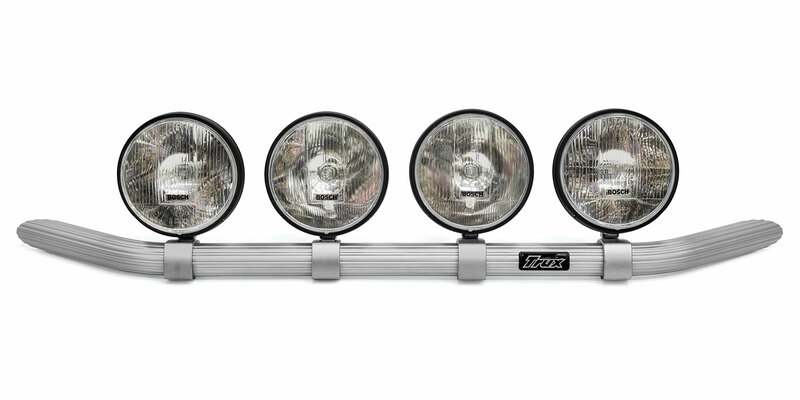 Trux X-Bar (24-3) makes it possible to mount up to four (4) extra lights in an easy way – and it looks good too – on the lower front hatch. 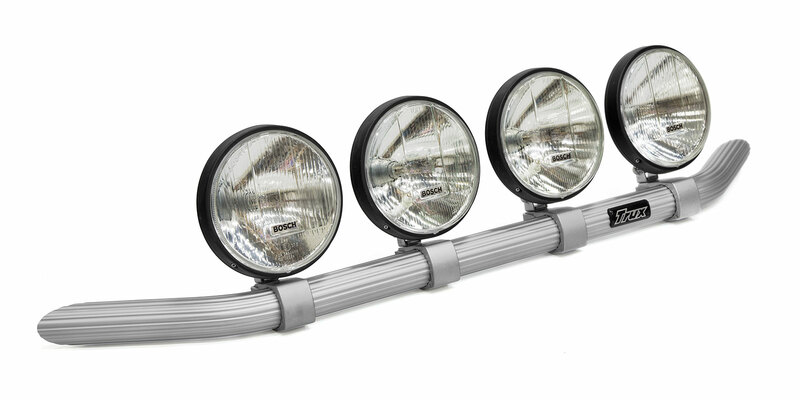 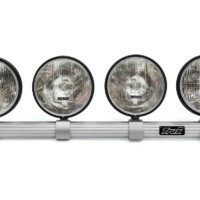 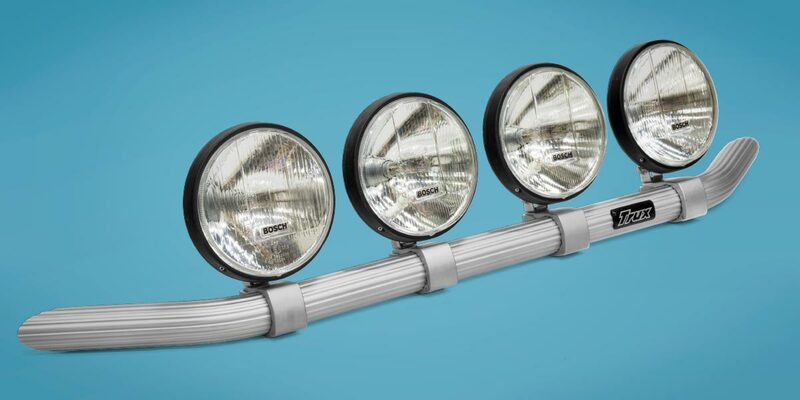 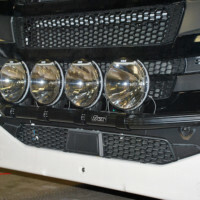 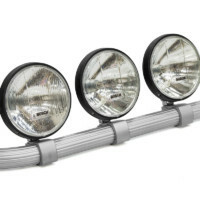 The Extra Light-Bar can be delivered prewired with clamps and mounted extra lights. 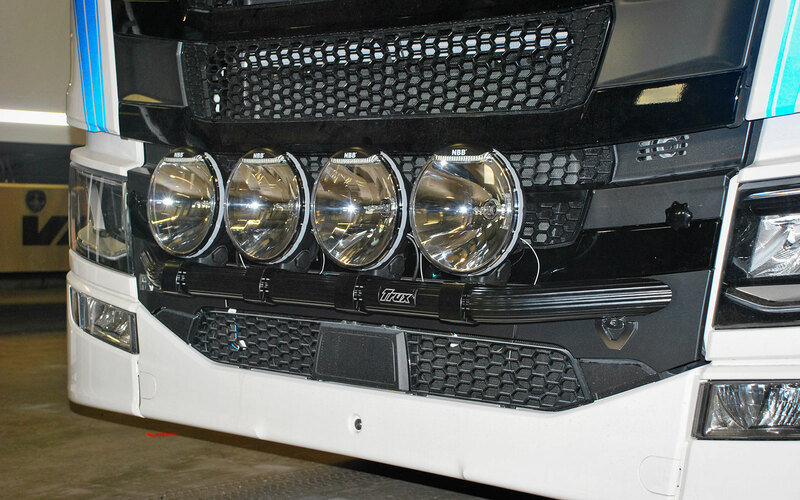 We have also added the X-Bar to the configurator Create your own Trux so you can see how H24-3 will look like on your Scania. 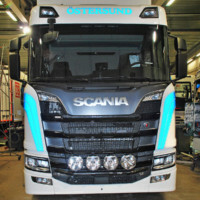 The X-Bar H24-3 is for the new Scania and fits all cabins, but not with the XT design.